Martha Berry thanks Mrs. Meacham for sending clothing to school for the boys there. 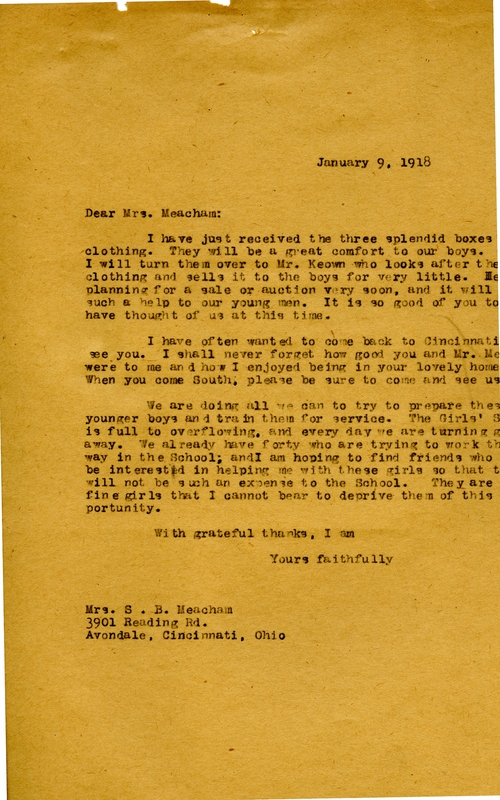 She updates Mrs. Meacham on the boys and the girls at the school. Martha Berry, “Letter from Martha Berry to Lida D. Meacham.” Martha Berry Digital Archive. Eds. Schlitz, Stephanie A., Sherre Harrington, Angela McCavera, et al. Mount Berry: Berry College, 2011. accessed April 20, 2019, https://mbda.berry.edu/items/show/52.